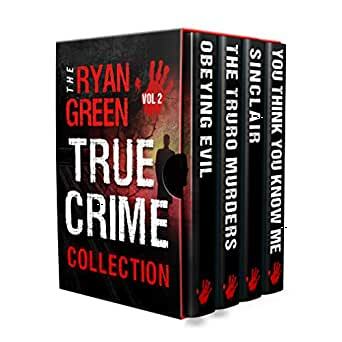 Four chilling true crime stories in one collection, from the bestselling author Ryan Green. The shocking true story of Ronald Gene Simmons and the most disturbing family killing spree in the United States. During the Christmas Holidays in 1987, the retired Air Force Master Sergeant executed 16 people, 14 of which were members of his family. This included his daughter, whom he had sexually abused, and the child he had fathered with her. James Miller, an aging misfit, meets his one true love in prison, Christopher Worrell, a young, charismatic sociopath. Miller stops at nothing to meet the demands of his sadistic friend, in an attempt to take the relationship on to another level. The naked bodies of two teenage girls were discovered the morning after a night out in Edinburgh. No attempt had been made to conceal their bodies, they were six miles apart, and both girls had been beaten, gagged, tied, raped and strangled. Herb Baumeister was a husband, father of three, and successful businessman—but he was hiding a very dark secret. In June 1996, police uncovered the remains of eleven bodies within the family estate. 5.0 out of 5 starsInteresting book! 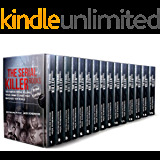 This book offers details of serial killings of people in America and Australia. It provides in depth studies into the minds of these killers. It is really fascinating to read. I did spot a few errors (i.e. the prosecutor 's surname in the Simmons case being listed as both Bynum and Pynum). I highly recommend this book to other true crime readers. 5.0 out of 5 starsExcellent writing about the unthinkable. What an incredible set of books. I had to take frequent breaks from reading because of the disturbing details. I love Ryan Green's books. He brings these stories to light and makes you feel like you are looking over the shoulder of these heinous murderers. 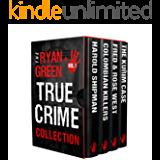 If you want to read about true crimes that have taken place in the USA, the UK and Australia, this is a set of books that you must read. 5.0 out of 5 starsWow, a collection of my favorite crime author! Ryan Green is one of my favorite authors. His descriptive narrative of the life and times of the killers makes you almost feel as though you were there. He doesn't sugarcoat their deeds. He doesn't make them seem to be anything but what they are - killers. But, he does almost make you feel sorry for them - but just almost. 5.0 out of 5 starsAwesome writing style, entertaining and spellbinding! I truly love the style of Ryan Green's writing, It is very informative, detailed yet extremely entertaining. The stories are true but are told in such a way that they are made unbelievable to the human mind. Very spellbinding and thrilling! I highly recommend Ryan Green's true crime books! This was an interesting and informative set of books. I like that the books are are not full of annoying errors. The stories are more graphic than I have been used to reading. I am pleased to have found this author.